My dad worked from sunup to sundown fishing. The only way to spend time with him was to grab my boots and be next to the door at 4AM when he left for work. When I was seven, I got a student license and a few traps. I was hooked. I own and captain the "Must Be Nice" out of Rockport. 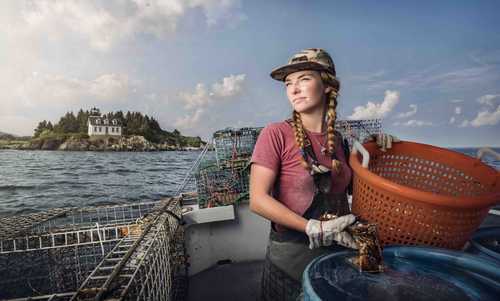 Some people mistake my stern man for the captain, but stereotypes are being confronted with more women getting lobster licenses. The ocean is everything to me. I'm proud I was raised by a fisherman and have continued his legacy. I plan on fishing for the rest of my life.